Chess is a game of war between two armies, one of sixteen white pieces and one of sixteen black pieces, at the start arranged in two rows at opposite ends of the chessboard standing face to face. One chess piece can occupy only one space. In the front row of each side are the eight Pawns, followed in the back row by two Rooks at the ends; next to them the two Knights; then come the Bishops; and at the center the King and Queen, with the Queen on her own color. The Chessboard consists of 64 squares, alternating in black and white, with a white square, by international standard, on the far right of the first row for both sides. The player who controls the white pieces moves first. Chess is a game board that need brain drain because the players have to think of a strategy to win the game. Every step of the chess pieces is important for the end of the game, because the chess players should really have a good strategy to win. Playing chess can be done indoors or outdoors. The equipment required is also simple and easy. You only need to prepare the chessboard and chess pieces, then your chess game has ready to begin. 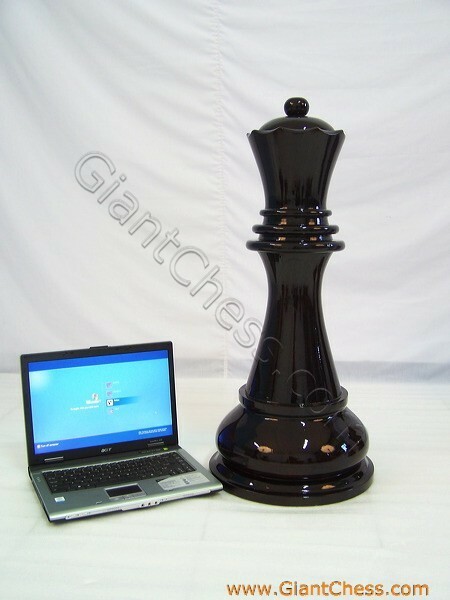 In fact, you can also get a set of big chess equipment for outdoor use. 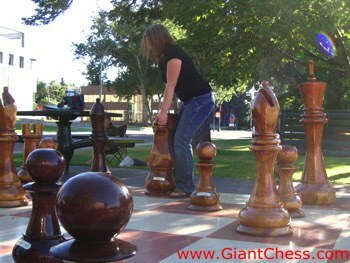 By using the big chess set, you can play outdoor chess which more exciting and challenging. Invite your friends, family and neighbour to join with you! Try it and enjoy it! 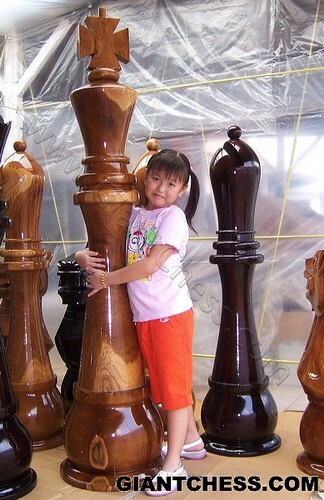 We are the manufacturer and exporter of wooden chess products. 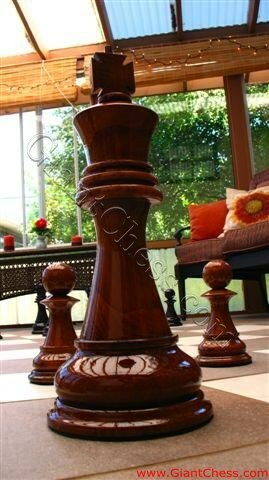 We are located on Java Island and we are recognized the world over for the quality and beauty of our chess products, carved in original and precious Indonesian teak. Teak is the choice for our products not just because it is beautiful, chess table but because it is also strong and durable; suited not only to chess play, but to being sculpted into the kinds of both utilitarian and decorative art that we and our highly skilled artisans take great pride in creating. Chess is a game that is traditionally played indoors at a chess table, but you will be able to find several different options that are great for taking the game of chess outdoors with you. One option that you will want to think about is a giant outdoor chess set that you can use in an open space. 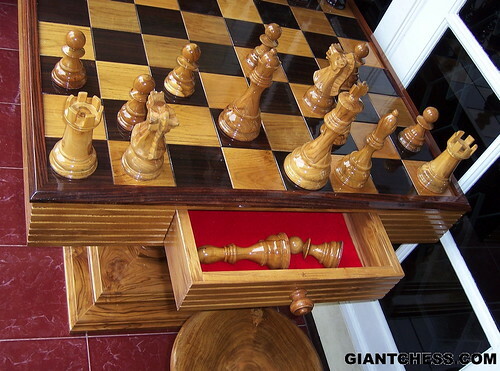 The pieces of this type of chess game are usually very large in size and will be perfect for children to play with or to use as decoration for the outside of your home. 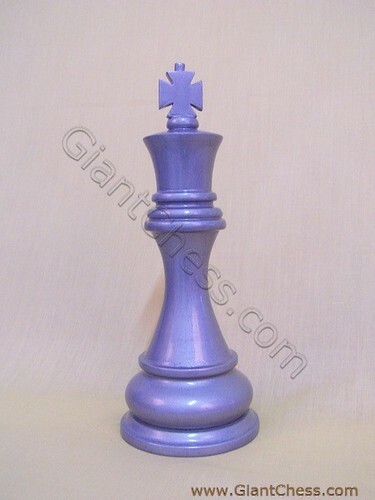 Here is the 36 inch Queen chess piece that would make you consider it for outdoor chess game. 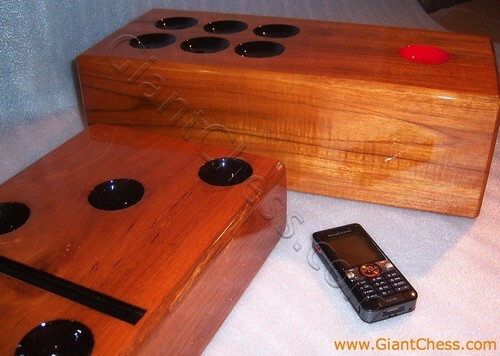 Still using the best Teak wood as its main material, the 36 inch chess piece has recommended for outdoor use.Meanwhile, if you has the 36 inch chess set, you may use it for outdoor chess game. Although the piece is quite heavy, and are not easily transportable, but it can be easily shifted across the squares of the board in actual play. Checker is universal board game that has known by many people in the world. But, this board game is not too famous as chess game. Checkers is played on the same board as Chess, consisting of the same 64 dark and light squares in alternation on a square board. The most obvious difference between the two games is the differing nature of the pieces and their position at the start of the game. Checker equipment is simple. You just need a set of checkers and squares board. A Set of Checkers consists of 24 Checker pieces, 12 pieces are dark and 12 pieces are light. 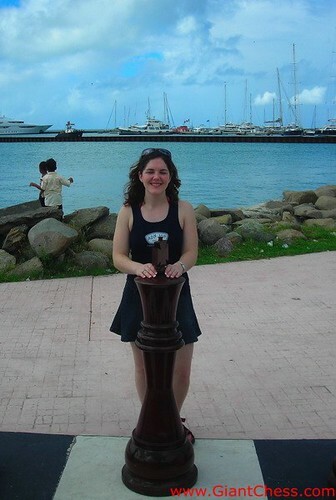 But now on, checker pieces are also come in rather big for outdoor use. This kind of checker set, too large for most tables, is particularly suited to be being placed on the floor, there to be played with and enjoyed by all members of your family. It is also suited to being carried outside and played on the lawn or transported to the beach.